Political science requires good analytical skills as well as extensive knowledge in world history and international relations. But whatever you know about history, it is never enough if you want to write an excellent political analysis paper. You should start from the premise that politics does not consist merely of human actions and interaction, but it also involves rational planning, motives, principles and beliefs. This makes it a very special sphere for research; on one hand, it is not regulated by natural laws, but on the other hand, it is still subjected to some regularities - international treaties, for example. Hence, you cannot explain a certain political process as you wish but you should rather search for the causes and factors for it to happen. 1. What is a political analysis paper? A political analysis paper aims at answering a given question concerning a certain political process, event, as well as at predicting future developments. Such a paper could also analyze an event or process from the past; hence, it does not necessarily deal with present situations and cases. The political sphere comprises both internal politics and international relations. Therefore, your paper could deal either with the internal politics of a given country (for example, party system or form of government), or with its foreign policy (relations with certain countries or with international institutions). The method you need to employ is analysis, this is: to take the given process and to examine its different aspects. An analysis must examine it in detail, including causes, motives, factors, and results of the analyzed process. Of course, you have also to collect the necessary data and information, otherwise you cannot write a good political analysis paper. Without empirical data your paper would be merely an essay. Do not forget that the level of such a paper is more advanced than a high-school English essay. Advice: avoid too abstract titles. Try to reduce your title to something particular which could easily be examined (also empirically). Then the research question will be formulated easily as well. This research is preliminary because you do it when you do not have any clue about your thesis. In order to formulate a good thesis for your political analysis paper, you need to read some literature. You should start from the most general books - encyclopedias, textbooks, etc. Then you can check the titles included in their bibliographies and choose the most recent. It is important to refer to recent research because it sheds light to new issues and theories. Another way to do this research is to enter some online databases and search by keywords (“party system”, for instance). Choose the titles which correspond to your topic and approach. Try to avoid authors that are discredited or are not well-known. Now you have to narrow down your research. Choose twenty or twenty-five (for example) titles and read them one by one. This is the substantial research. During this stage of research you have to find important ideas in order to formulate your theoretical framework. Read about, let’s say, the history of the party system in England and how it was changed upon American ground. Then read about the legal issues which the founders of the United States had to meet. Then you can read about the fundamental principles of democracy and check if they are present in the American party system. What is the process you analyze? How to define it precisely? What are its causes and factors? How has the process changed over time? Which is the main theory which explains the process in question? Which is the main opponent of this theory and what it asserts? And finally, you must be able to formulate a thesis. It is the central idea which elucidates the given process or event. 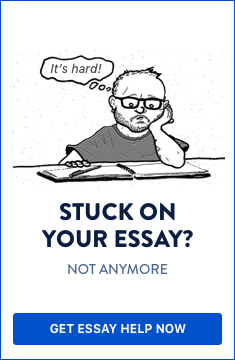 A thesis of your political analysis essay has to be concise and relevant to the topic. You cannot write the thesis which includes new ideas (that are not discussed in the paper). Your thesis formulation will probably be changed several times. This is normal - the more information you gain, the more likely it is to influence your point of view expressed in the paper. An analysis paper must not manifest your personal feelings, attitudes, etc. It does not deal with what is wrong and what is right, but rather with a process and its causes and/or results. Unlike political essays, here you have to avoid any impartiality. Try to be objective! This means that you must refer only to reliable literature, and not to sensational press or to forum publications. Another important thing: use your critical thinking skills. Always ask if the information you have gained is reliable and objective. Ask who and why has published it. Search for other points of view which do not harmonize with your own. There is one basic rule regarding quotations: do not quote too much and too often. Your instructor will probably assign you a number of titles which you need to refer to (ten, fifteen, or more). You are not obliged to quote from all of them! You can merely paraphrase given assertions instead of quoting them. Still, you can quote but not as often as to irritate the reader. Remember that you are not writing an exposition essay but an analysis paper! Note: the length of the following sections of your political analysis essay is only an example. (Introduction- one page long) Ideology is a coherent group of philosophical ideas aiming at influencing or changing the society. Political ideology thus concerns the main principles, beliefs, convictions of a given party or political movement. (Main part. Thesis - up to five lines). The party system of the United States is based upon the principles of the centralized representative democracy. These principles constitute the ideology upon which this country was built. (Main part. Argument 1- two pages long). The first main ideological principle is liberalism borrowed from English political thought and modified by T. Paine and T. Jefferson. (here you should refer to original sources as well as to their interpretation by renowned researchers). (Main part. Argument 2 - two pages long). The second fundamental principle is pluralism, or the possibility to express one’s own opinion and to vote according to it. (additional definition) Party pluralism means also the legal right of anyone to establish a party without being persecuted for this. (here you should again refer to reliable sources - for example the history of the American party system). (Conclusion - one page long) The existence of both these principles could be proved throughout the history of the United States. Still there could be other principles found, such as religious pluralism and Puritan ethics. (with this assertion you point to some possibilities for further research). Political analysis essay format: intro - 1 page; thesis - up to 5 lines; argument 1 - 2 pages; argument 2 - 2 pages; conclusion - 1 page. Having written your political analysis essay, you have to revise it carefully. Read it first to find logical incoherence and contradictions (including vague definitions). Then review it again and check grammar and style. You should also check the sources of your quotations - check particularly the page numbers referred to in your paper. Then you are ready to submit the paper. If your instructor notices a serious flaw in the text you will have to re-write it, or edit the particular section of it. At any rate, writing a political analysis paper is a hard task and requires substantial time, so don't be in a hurry - write carefully!